If you are in need of a vehicle that can handle just about any job that comes its way, diesel engines are the way to go. 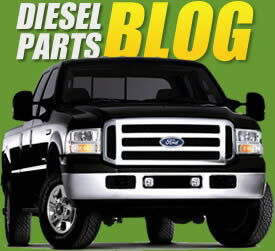 People have been using diesel for decades to get more power and control so that they can carry heavier loads and do more work, but there is a lot more to these systems than just the engine. Having a more powerful engine also requires having better parts, and this is especially true of a high-pressure oil pumps. Acting as the heart of the engine, these oil pumps provide high volume oil at great pressure to ensure proper operation of the engine and other components all day long. Without a proper oil pump, you will find that vehicles run poorly or fail to run at all. For this reason, having a quality high pressure oil pumps can be every bit as important as the engine itself. We have many different options that will perfectly match Navistar International, Powerstroke, and Caterpillar engines. This means that you can find the high-quality parts you need for your vehicle regardless of manufacturer. We know how difficult it can be to find the best equipment to repair and restore your system to great condition, which is why we have made it our mission to provide a large selection of the best parts for the job. All of our parts are constructed from the finest materials and manufactured up to the strictest OEM standards, and better. Not only can you find whole high pressure oil pumps, but you can also get everything else you need to make installation quick and easy. We have gaskets, seals, hoses, valves, sensors, STC fittings, and more so you can get all the necessary parts at once. Every piece is made to live up to the same high expectations you have for your vehicle and diesel system, and we are so confident in our pumps that we provide a two year, one million mile warranty to help you put your mind at ease. You can drive every day knowing your diesel system will work hard and remain reliable and powerful.